If having the opportunity to dive on the world famous wreck of the Zenobia is not enough to tempt you to book your next diving holiday in Cyprus, there are many other reasons to come diving in Cyprus. The Island has an average 330 days of sunshine a year. The water, and temperatures, are some of the warmest in Europe. 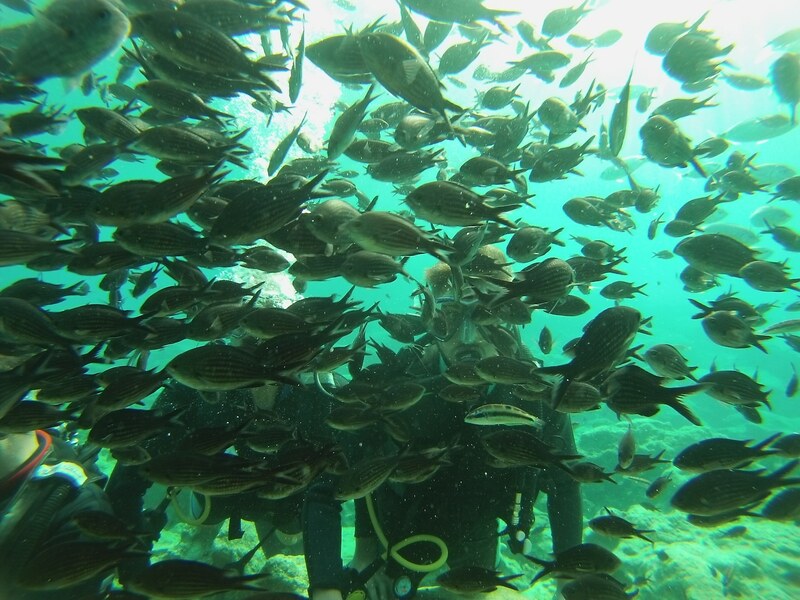 Underwater visibility in Cyprus averages 35 metres and can be up to 60 metres! All in all, Cyprus an easily accessible and very appealing dive destination. Diving the southeastern part of Cyprus offers you some of the best dive sites on the Island. 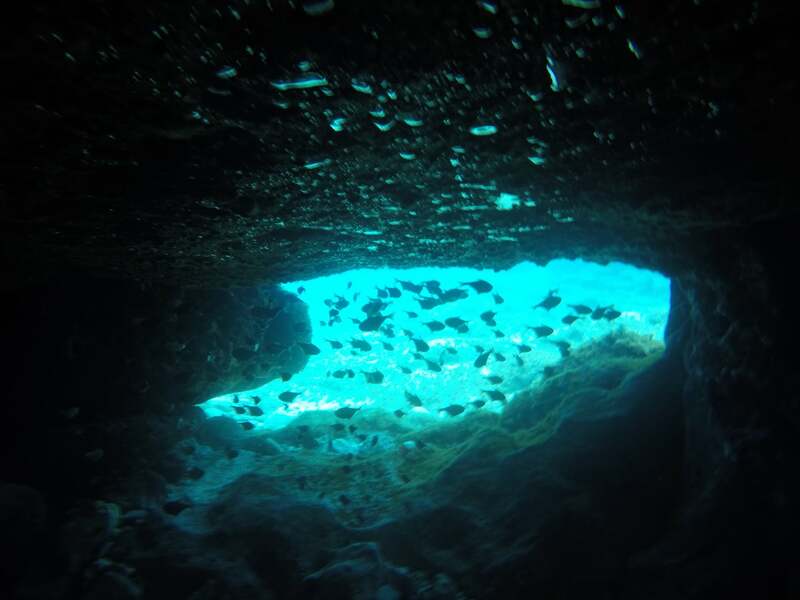 The caves and tunnels at the picturesque Cape Greco are a must for any divers visiting here. There are multiple underwater tunnels and swim throughs leading to you finishing your dive through what is locally known as the blow hole. In addition to the diving at the caves and tunnels, there are many other beautiful local dives incorporating both scenic and wreck dives. Many of our dive sites are accessible from the shore. 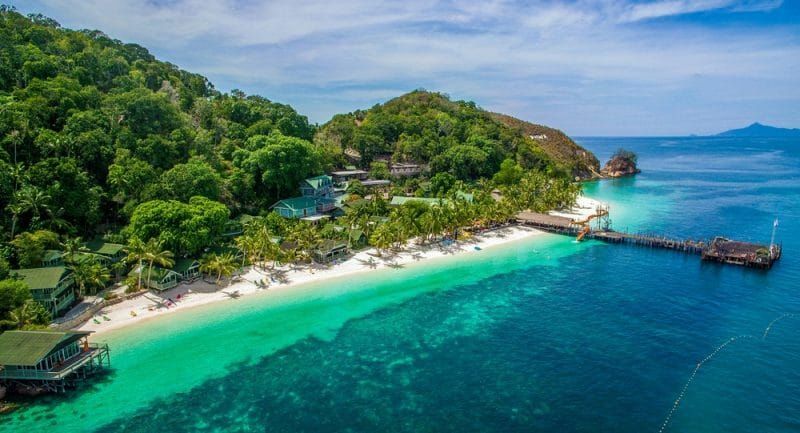 Another very popular local shore dive is Green Bay – this dive site offers an easy walk in entry, with a gentle sloping dive site at a maximum depth of 10 metres. The marine life at Green Bay is superb and all divers will love to spend time at fish rock, seen in the picture below. 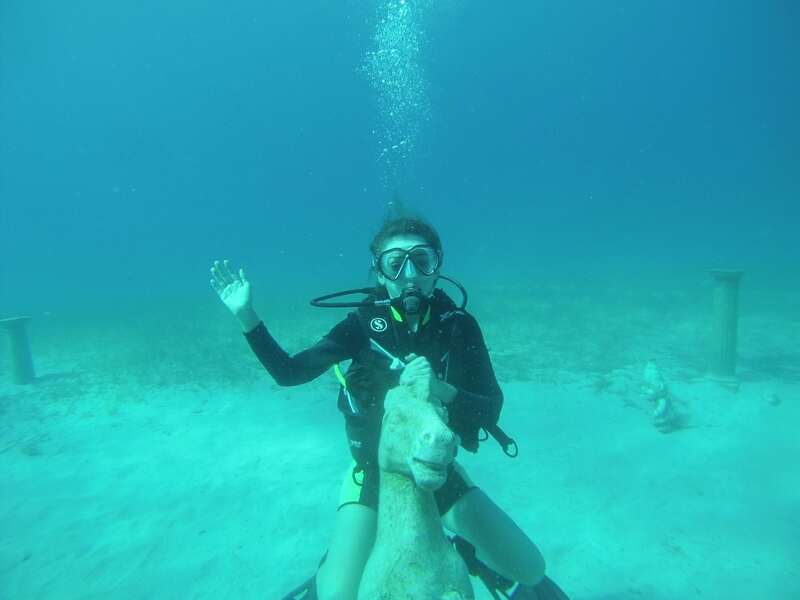 As well as marine life being plentiful at Green Bay, divers can also pay a visit to the underwater museum, where you can ride the sea horse and pose with the statues. Fun for all. 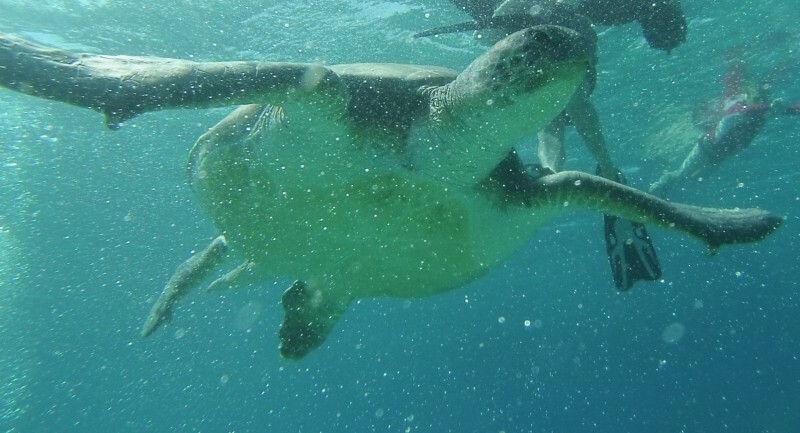 As well having the opportunity to see Green turtles. In recent years, Cyprus has sunk many artificial wrecks across the Island. The first two wrecks are just a five minute boat ride from our dive centre. The first wreck to be sunk in 2009 was a Russian cargo ship called the Liberty, now sitting upright in around 27 metres of water. The Liberty is the perfect wreck for divers doing their PADI wreck speciality. The second artificial wreck sunk in 2012 was a decommissioned fishing trawler called Nemesis the third. She now lies upright in 24 metres just a short boat ride away from the Liberty. Diving on the Nemesis is perfect for novice wreck divers or for a check dive before going to the Zenobia. There is plenty of marine life on the Nemesis as well as many swim throughs. Previous Previous post: Be part of the biggest ever UK-wide beach litter pick!